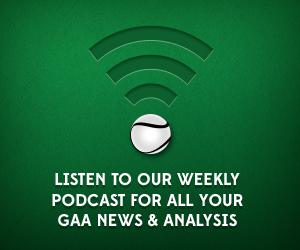 Ciaran Woods, Ronan Scott and Niall McCoy present the podcast this week looking back at Tyrone’s All-Ireland U21 Football title win as well Antrim’s crucial last minute win over Laois in the Leinster SHC Round Robin. The lads also preview the following Christy Ring Cup and Nicky Rackard Cup ties involving the Ulster sides. And finally there’s a preview of the highly anticipated all-Ulster Ladies Football Division 2 final between Armagh and Donegal where only one team will gain promotion.